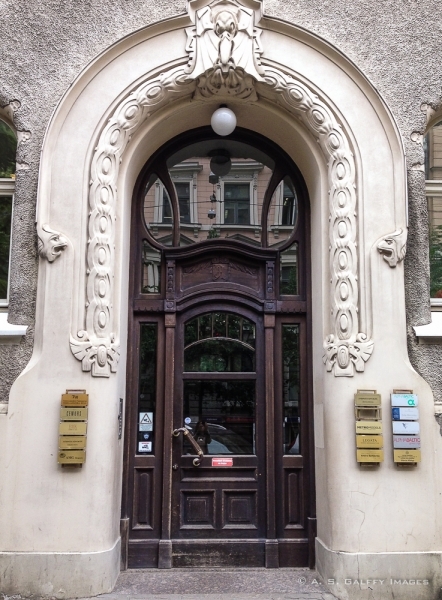 Riga architecture is very diverse – an interesting snapshot of its tumultuous past. Riga was part of the Hanseatic League during the Middle Ages. It was part of the Russian Empire in the 18th and 19th centuries. And it was part of the Soviet Union from 1940 to 1991. 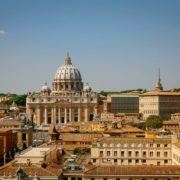 The city’s architectural styles displays a lot of evidence from all these historical periods. Riga was founded as a port in 1201 by German crusaders. 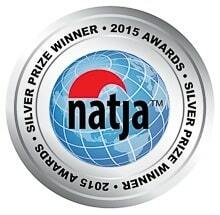 Over the next 700 years it came successively under German, Polish, Swedish and Russian rule. 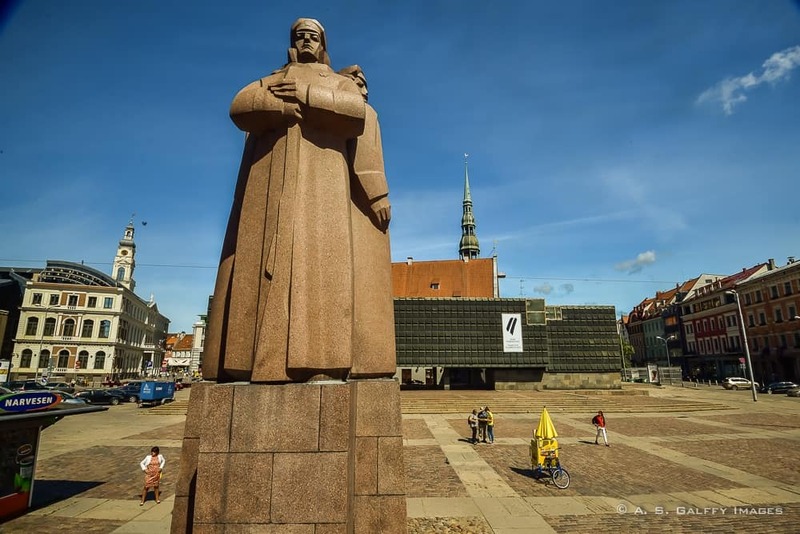 By the end of the 15th century the town was already a major center of the Hanseatic League. Riga derived its prosperity from the trade with Central and Eastern Europe. After the Russian Revolution, Latvia was ceded to Germany, but Germany’s defeat a year later allowed Latvia to regain its independence. However, its independence was short lived. Just a few years later, with the beginning of the Second World War, Latvia saw its first Soviet invasion, then the German occupation in 1941. In 1944 when the Red Army drove out the Germans, the second Soviet rule was established. The crumbling of the Soviet Empire in 1991 allowed Latvia to finally regain its independence. 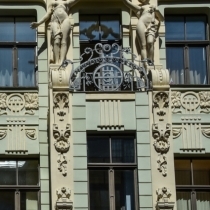 One of Riga’s claims to fame is without a doubt its Art Nouveau architecture. 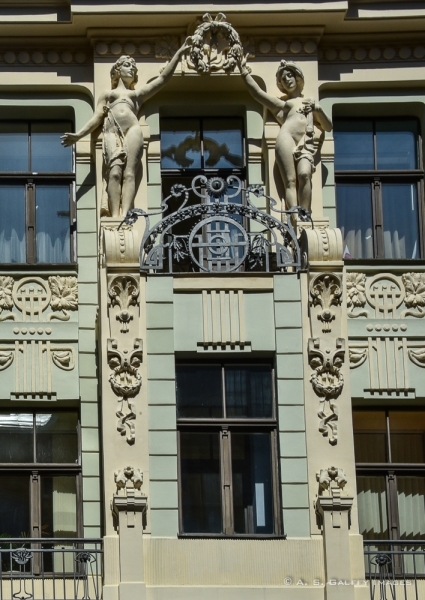 About one third of all buildings in the city center are in Art Nouveau style, giving Riga its trademark look. Intricate floral designs, expressive masks and elaborate geometric forms decorate the building façades all over the city. What most surprises you when walking around the Latvian capital is that it can be both exceptionally beautiful and extremely ugly at the same time. 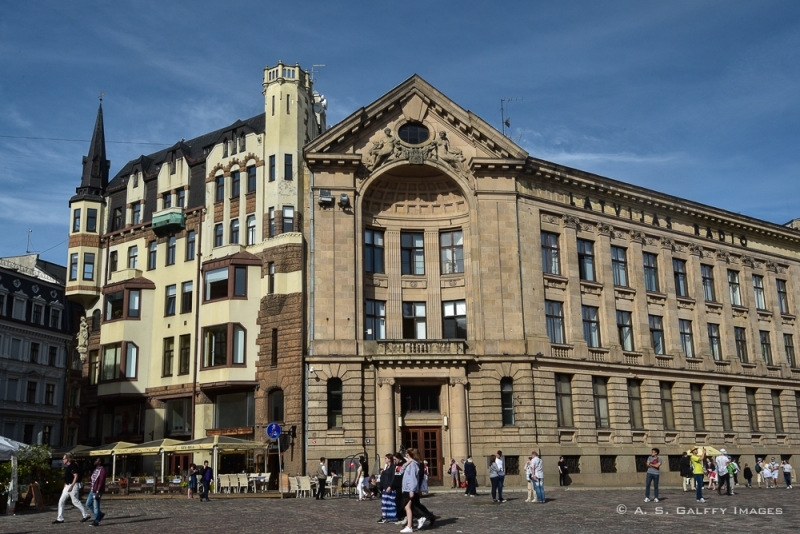 There is always a medieval highlight, or an attractive Art Nouveau building next to one of those Stalinist ugly-looking structures, built during the decades when Latvia was part of the Soviet Empire. 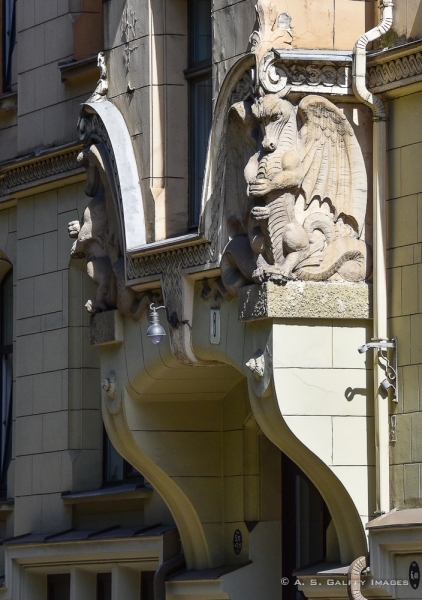 Riga’s diverse architectural stiles pretty much reflects the country’s turbulent history. Up until the end of World War I, Riga was a German city. Consequently, there are a lot of German influences in the city’s Old Town. The buildings that have been erected over several hundred years and at different times in history, vary a lot in style from medieval, to Gothic, to Baroque. During the 18th century industrial revolution, Riga went through a rapid urban development. 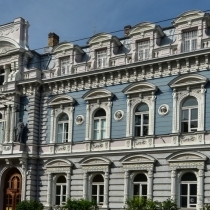 Eclecticism began to expand in the city’s architecture. 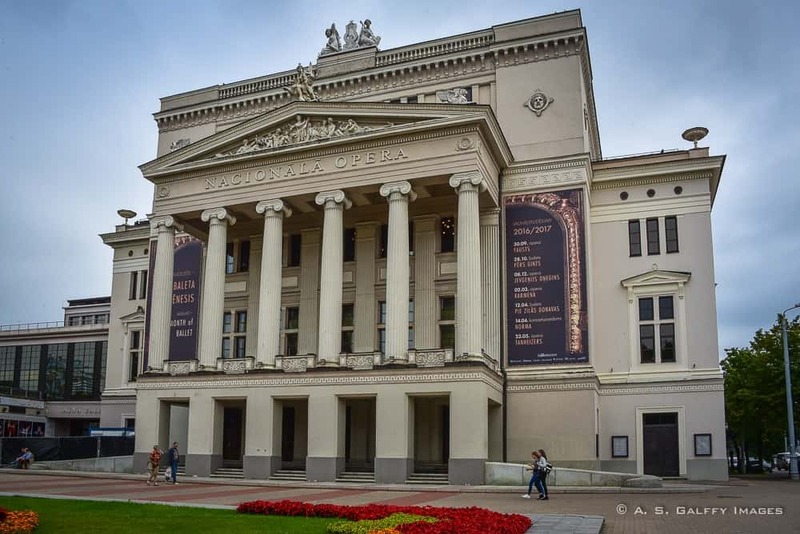 Several beautiful Neo-Gothic and Neo-Baroque buildings have been erected at this time, like that of the Latvian Arts Museum, as well as National Opera and University of Latvia. Towards the end of the 19th century Riga went through a major transformation when many of the old fortifications have been torn down and a canal and a ring of boulevards have been build. 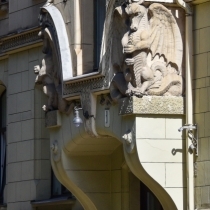 Most of the Art Nouveau buildings have been erected at about the same time, between the end of the 19th century and the beginning of the 20th century. 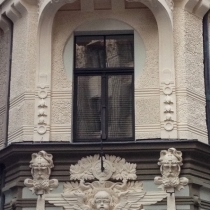 That was Riga’s most prosperous period which also coincided with the height of the Art Nouveau Movement in Europe. Today, Riga has one of the best-preserved and most charming historic centres in Europe, with over 800 majestic Art Nouveau buildings. 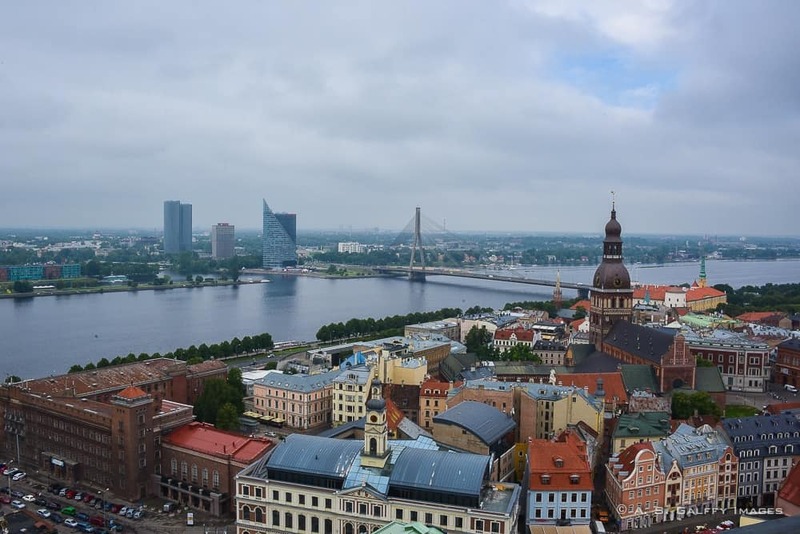 In the aftermath of World War II, during the Soviet occupation, Riga’s economy dried up. The Soviet architects returned to functionalism, designing high-rise apartment complexes and utilitarian Soviet style buildings. 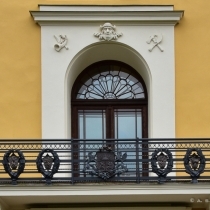 The so-called Stalinist architecture was meant to inspire awe and admiration and at the same time embody the idea that the Soviet Union would exist forever. Today Riga architecture is trying to embrace a post-modernist style. 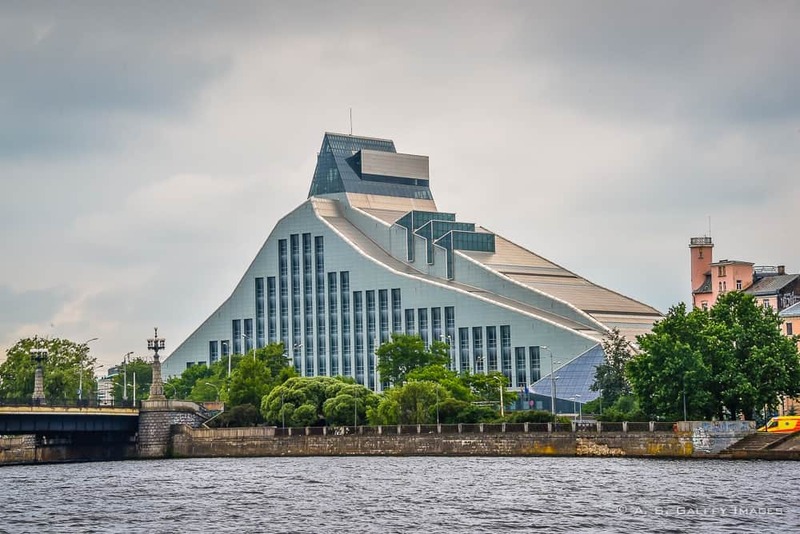 One of the most remarkable projects is the notable Castle of Light – the new National Library of Latvia, designed by the Latvian-American architect Gunars Birkerts. who tried to redesign the obsolete red brick warehouse across the Old Town Riga, on the other side of the Daugava River. 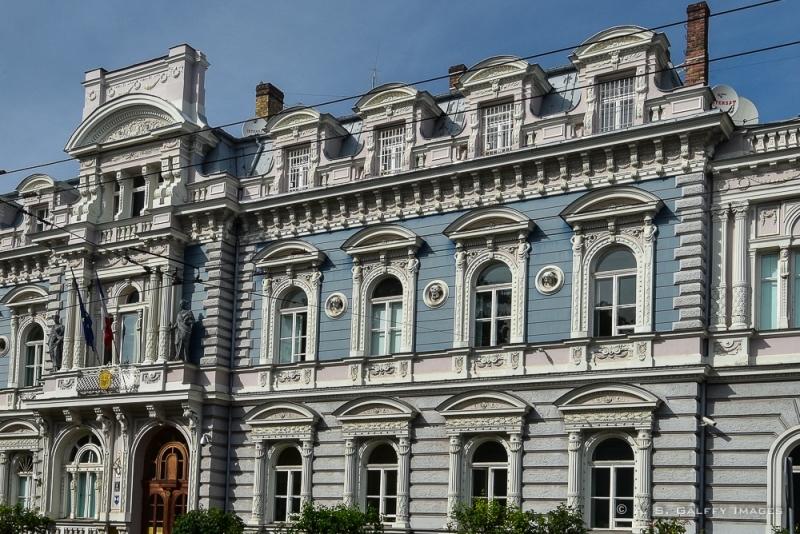 Riga is a great place to visit for any architecture enthusiast. A truly architectural delight. This is interesting. 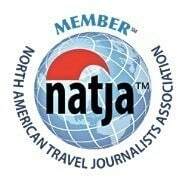 I'm hoping to head to East Europe later this year. As an history &amp; architecture enthusiast, this is definitely in my list as well. How is the public transport in Riga? 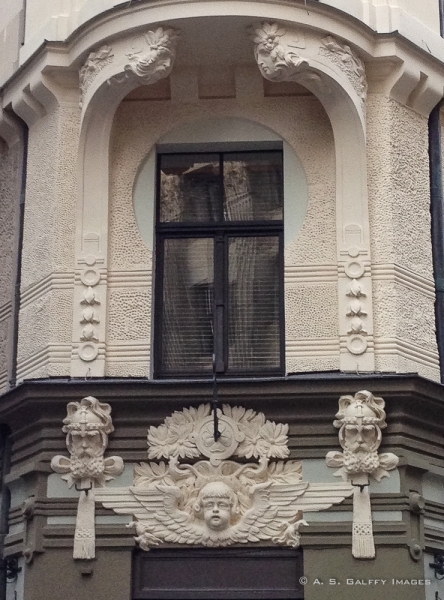 I visited Riga a few times in the past and was always fascinated by its amazing architecture. I went there expecting to see another former Soviet capital but I was pleasantly surprised. 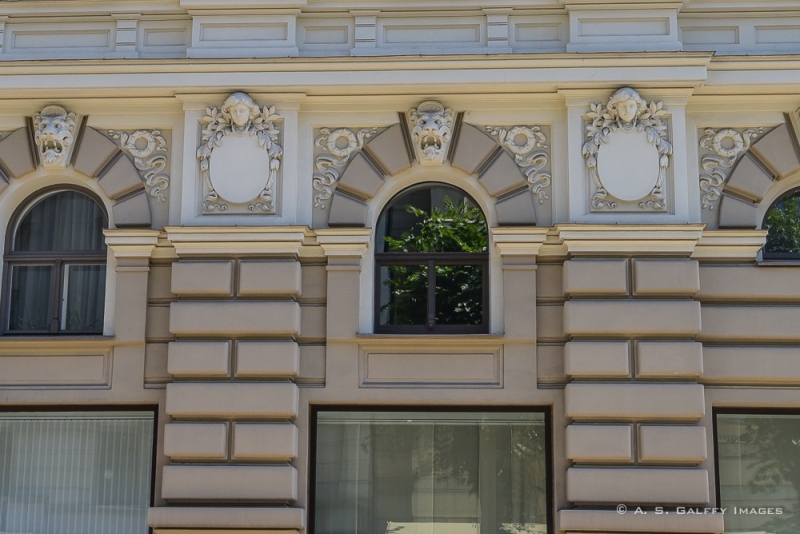 This article shows just how beautiful the architecture of the Latvian capital is. Thank you for sharing this article, it brought back so many nice memories. I really wished I had gone to Riga, even for a day trip when we were in Estonia. As usual time constraint didn't permit us to even give up a day trip. 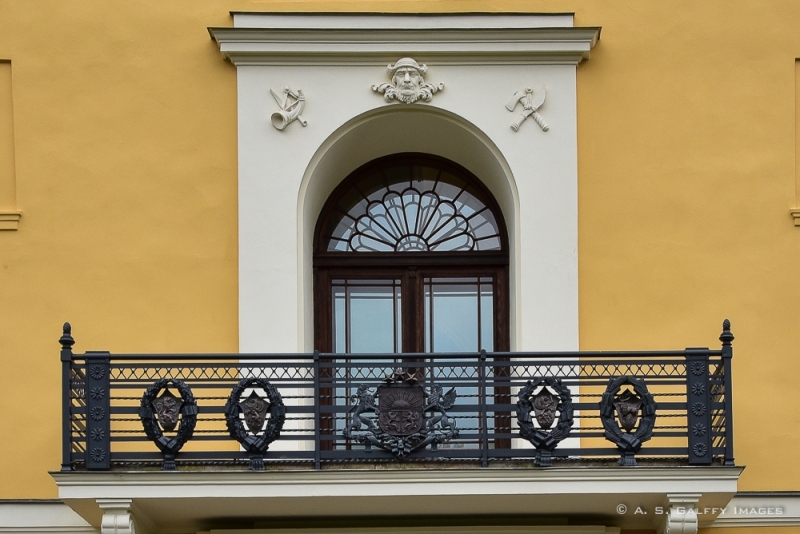 Love the architecture of the buildings around the city with the Russian influences. I can never decide if I like seeing modern architecture in old world places like these. I think its so important to preserve the past. Wow! These are beautiful. I have always been fascinated with architecture and yes, this is something worth seeing upclose. Hoping to visit someday. 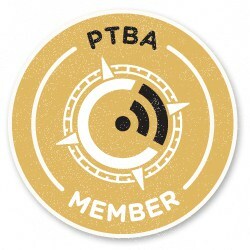 Thank you too for sharing their history. 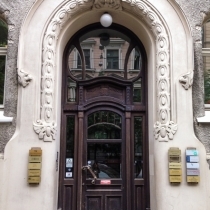 I am an architectural enthusiast and I am sure Riga would be a place that will surely blow my mind off. I am already in love with Riga by looking at the pictures you have posted. 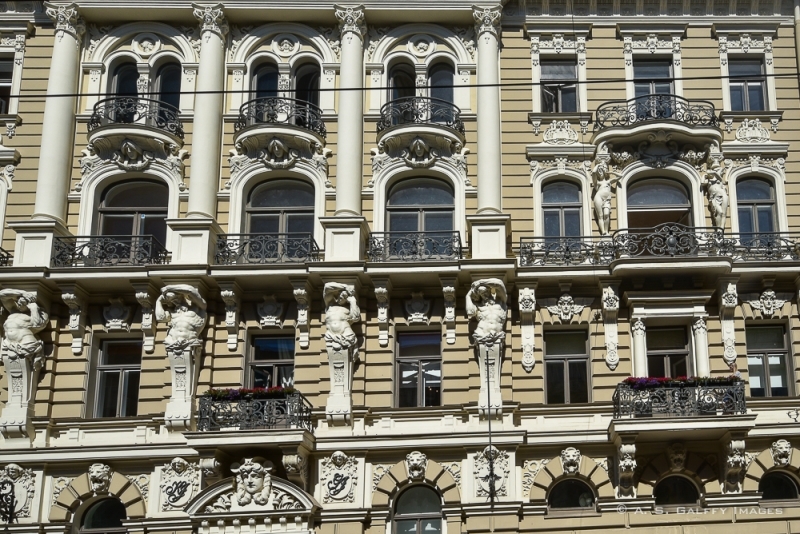 Whether it's then and now, Riga architecture has been epic overall. Thanks for sharing something uncommon. 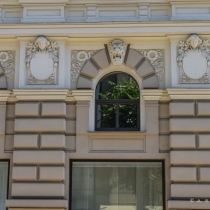 After reading your article, I fall in love with Riga's architectures and history. I like that the buildings are still standing tall and beautiful, and I agree the Stalinist ones are ugly. But, it's part of the history of the country. The architecture of Latvia reminds me of the architecture in Tallinn, Estonia a bit, which I guess makes sense since they're neighbors. I love the mix of old and new here, and the rows of colored buildings are probably my favorite. The Castle of Light building is such a masterpiece - I'd love to admire that in person. 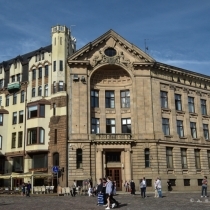 Great information on the architecture of Riga. 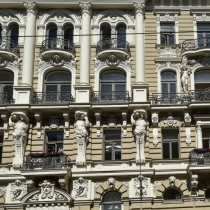 So many Art Nouveau buildings in one location. Riga is a city that I would really enjoy visiting. Loved your photos especially of the cute little 1221 Restorans - the blue walls with the paintings are quite unique. Thanks for sharing. Wow Riga has absolutely stunning Architecture! Given Latvia's past it seems like it is a melting pot of so many different styles from all of the different influences. I would love to come here just to see the buildings! This city has such impressive architecture! Every building has so much character. All of these photos are beautiful. 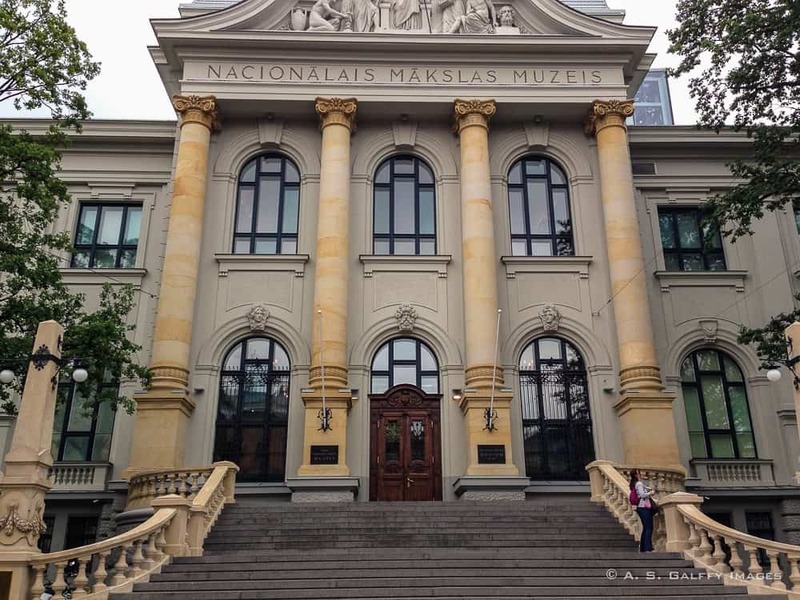 The National Library of Latvia is so neat. Thank you, Kaitlyn. I appreciate you taking time to read my post. 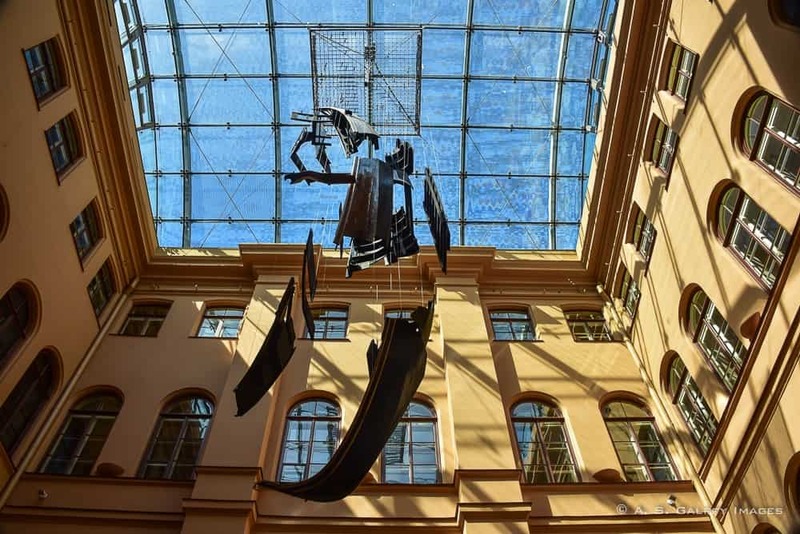 My favorite part of visiting a new destination is scoping out the beautiful art and architecture I love the contrast of modern and traditional that you have discovered in Rigas! I've been to Riga a couple of years ago and really loved it. It's architecture reminded me a lot of other east european cities such as Krakow and Prague and those are among my favorites! The architecture is beautiful! This is one of the things I always admire when visiting a city like Riga! The architecture really is beautiful. The traditional always appeals but even the more modern library really is quite stunning. Did you have the chance to take a look inside? Yes, but didn't have my camera with me that day, which was a big mistake. I was interested because it refers to the light and looks like all those top windows it would capture plenty of daylight where most libraries are quite dark. What an amazing history for a beautiful city. It is interesting to see and read about how the city has evolved over time. Very cool! When I was going to Riga this May I had no idea how much I would love the city and the architecture there. We had one day devoted just to our Art Nouveau walk and it was a lovely day! It's always great learning about history and architecture from you, Anda. Reading through it, I wondered how you would write about Manila, the Philippines' capital. It has all the marks of our colonial history - from the Spanish era, to the Japanese invasion, to America's enduring neocolonialism. I'd love to visit Manila, Liz. I'm sure there is a lot of fascinating history in that place. I love the art nouveau architecture, then the stark contrast of the modern architecture. Fantastic that Lativia has allowed it all to have a place. I prefer the old architecture, or the art nouveau. The straight lines of the modern architecture look quite unappealing to me. 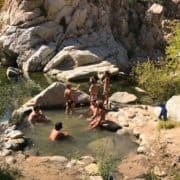 Lovely post and photos. We missed a lot of this on our brief stop in Riga. We concentrated on the Art Nouveau streets, which are remarkable. I'm planning to return too, Suze. Four days didn't prove to be enough for seeing the city like I would have liked to. Gorgeous! Riga is on my bucket list for Europe! Beautful! Hello Anda, I have enjoyed reading about the Riga's turbulent history (but I guess it is similar to other states in Europe). Seems like some periods were more successful than other in terms of architectural achievements. Art Nouveau is one of my favorite architectural styles. 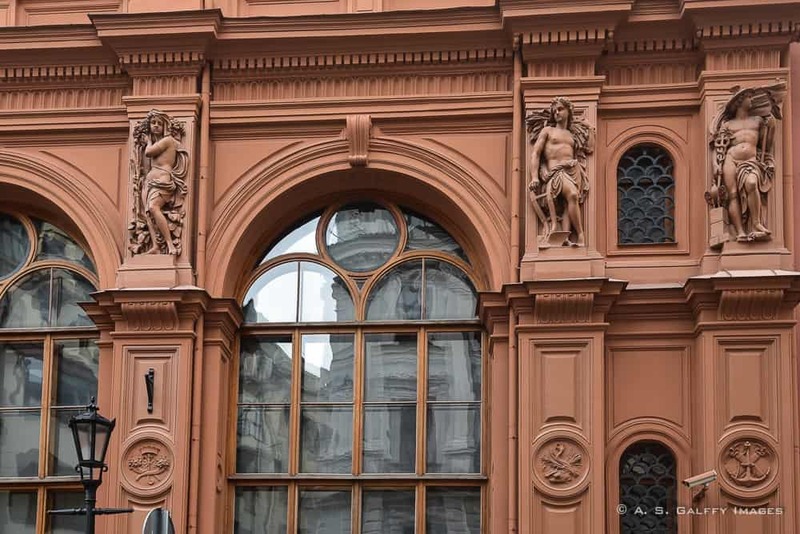 It would be great to visit this city and admire all the beautiful buildings (and pay attention to the details). 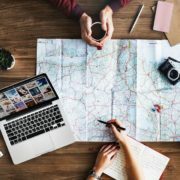 Did you visit with a local tour guide? Beautiful photos as always Anda! What a fascinating place to wander and explore! Riga looks really charming. I love it all, but that library is really fascinating. I hope to see this live some day. 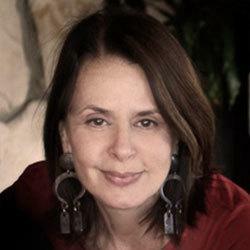 Truth is that it's very beautiful inside, Rhonda. Very modern and spacious, well lit and kind of grandiose. The outside is kind of ugly though. Love all this architecture! All the art noveau reminds me of Prague. It's a pleasant surprise to find in Riga. Great captures! I think it's really interesting how the architecture of a city reflects its history! I'm no architecture expert but the art noveau buildings look utterly charming to me. I'm not really into the post-modernist style though - we have a lot of that here in Singapore and they just remind me of weird spaceships. That's probably why I love visiting older buildings whenever I travel! I love old architecture too, Michelle. It's so much more elaborate and more beautiful than these modern, straight lines that we use today. Riga looks like a lovely city to visit. 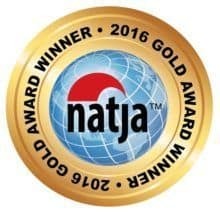 Enjoyed your posts on Latvia! Thank you, Ahila. I'm sure you'd enjoy Riga. That art museum looks fantstic!! Love the glass roof, keeping the market feel. I was telling Jo about your visit, trying to convince her that we need to add this to our lists. Yes, we each have one. I hope that she will read this an be convinced. A really great read. I'm sure both you and Jo would enjoy Riga, Arnie. After reading your article, she's pumped to see it! The city has very impressive architectures! Thank you for sharing. I certainly learned a lot about its history!